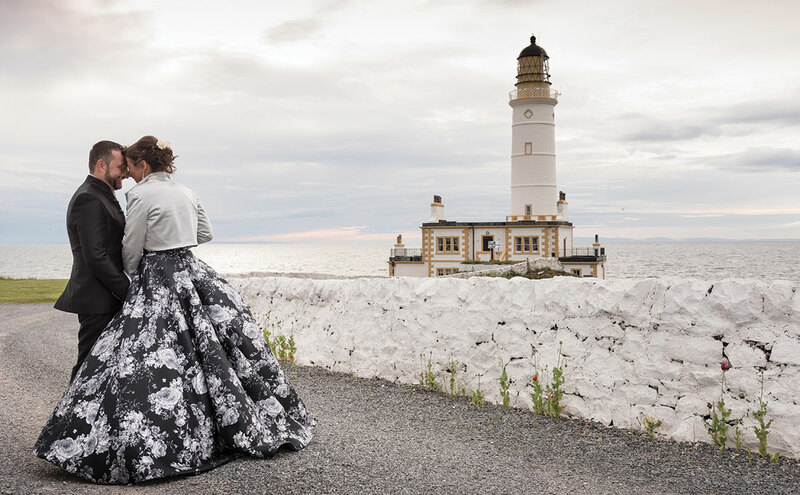 Wedding planning can often make you feel lost at sea, so why not hold your special day at Corsewall Lighthouse and keep the rough waves at bay? This incredible building dates from 1815 and looks out to the Mull of Kintyre and even (on a clear day) to the Irish coast. It specialises in small weddings, and boasts an award-winning restaurant that serves up the best of local fare so you and your nearest and dearest can tuck into five courses of high-quality cuisine. But our favourite thing about Corsewall has to be how fab it looks in photos, day or night. Shine on! With all the hours of planning you put into your wedding, the day could well end up being a masterpiece. 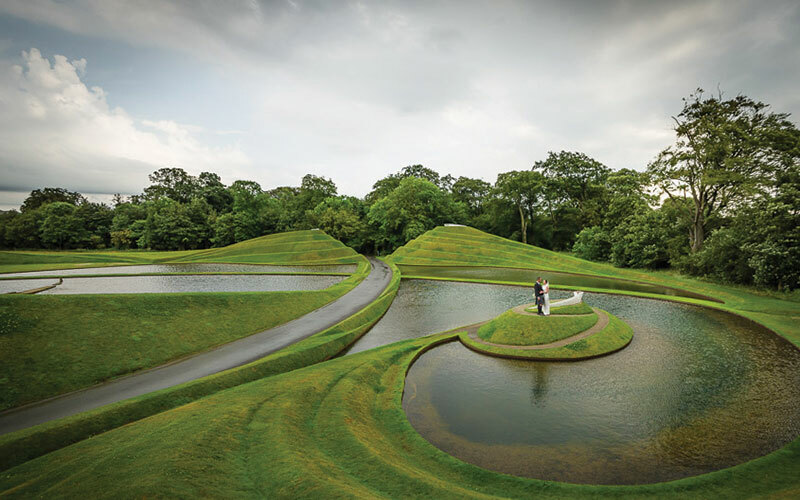 Do it justice and host your wedding at Jupiter Artland, an expansive outdoor space between Edinburgh and Livingston populated by pieces of thought-provoking modern artwork. If you choose to host a reception there too, switch to the Studio, an eclectic 1950s timber building with a wood-burning stove. Guests who nab one of the roulottes and stay over will be enchanted by the eco hot tubs and the fire pit. Bliss. 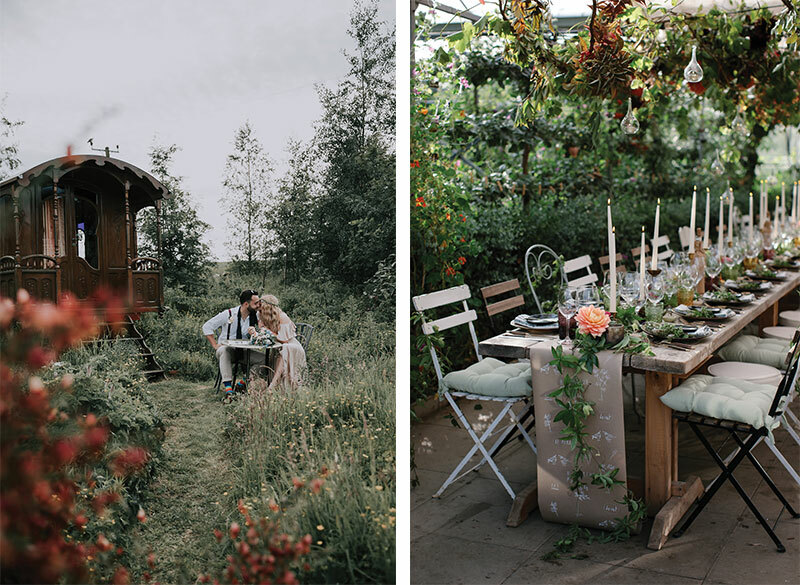 If you’re a boho bride craving a venue with bona fide eco-credentials, allow us to point you in the direction of the Secret Herb Garden (right), just outside Edinburgh. It has a relaxed, organic vibe, with a fabulous natural look thanks to its lush, overgrown greenery. The owners are committed to making every wedding unique, and can help you with flowers, favours and even your cake. On top of all of this, they can even distil a special gin as a lovely memento (if you can stop yourself drinking it all on the day, of course). Swimming is like riding a bike: you never forget how. 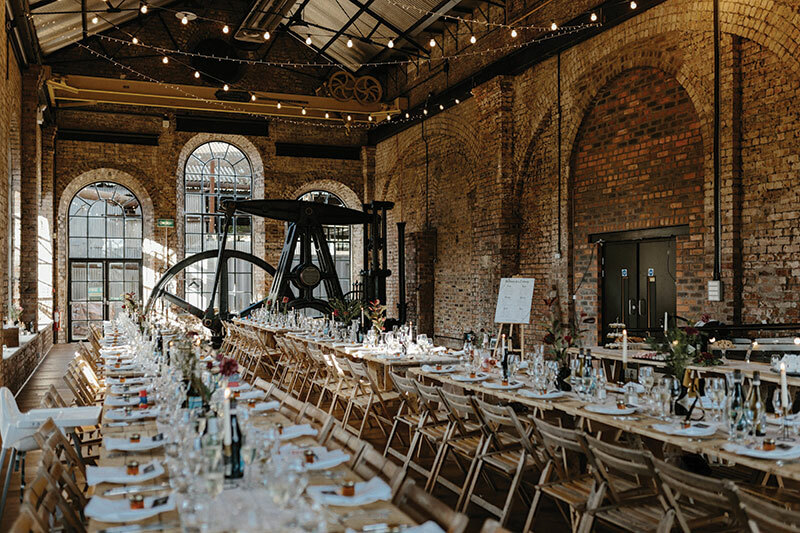 Commemorate the Saturday mornings of your childhood by tying the knot at the Old Dr Bells Baths, a former Victorian swimming pool in Edinburgh. 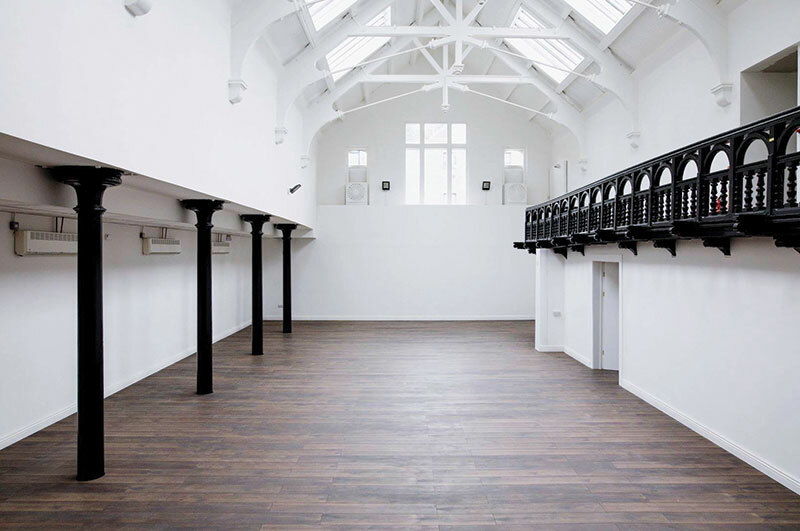 “The place ‘where all Leithers learned to swim’ has now been converted into an elegant, stylish and affordable wedding venue,” claims events manager Lee Jack. 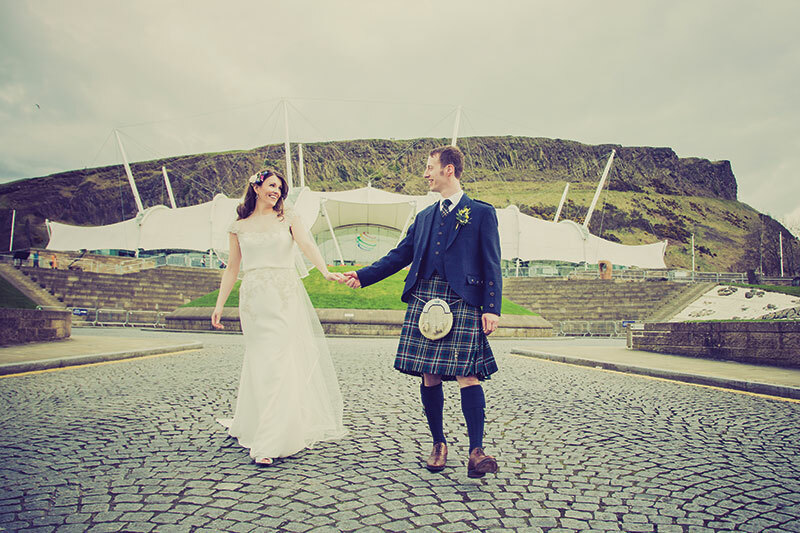 Take a walk on the wild side at Edinburgh’s Dynamic Earth: your guests can marvel at a real iceberg, stroll through a yellow submarine or even enjoy drinks in a tropical rainforest – what better way to prepare yourself for a destination honeymoon. Just be sure to humidity-proof your hair before the rainy season! Think you’ll need space to breathe on your wedding day? 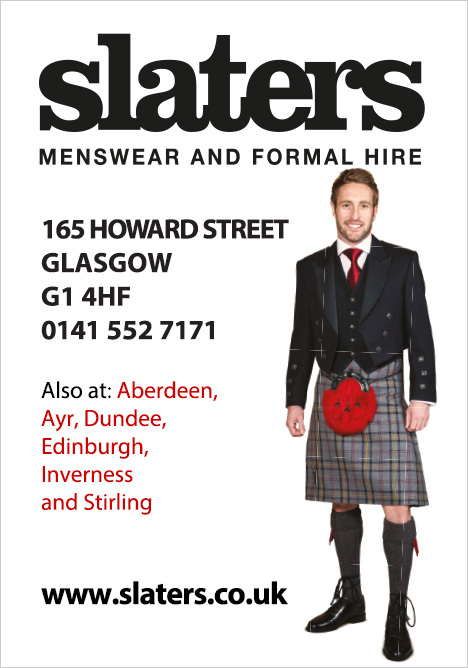 Highland Safaris can help. 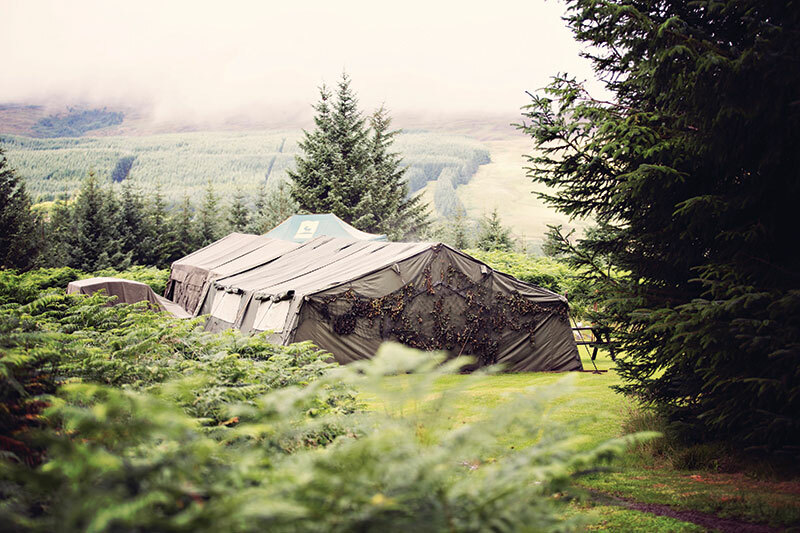 Its venues are surrounded by a colossal 250,000 acres of Highland Perthshire and can only be accessed by Land Rover. 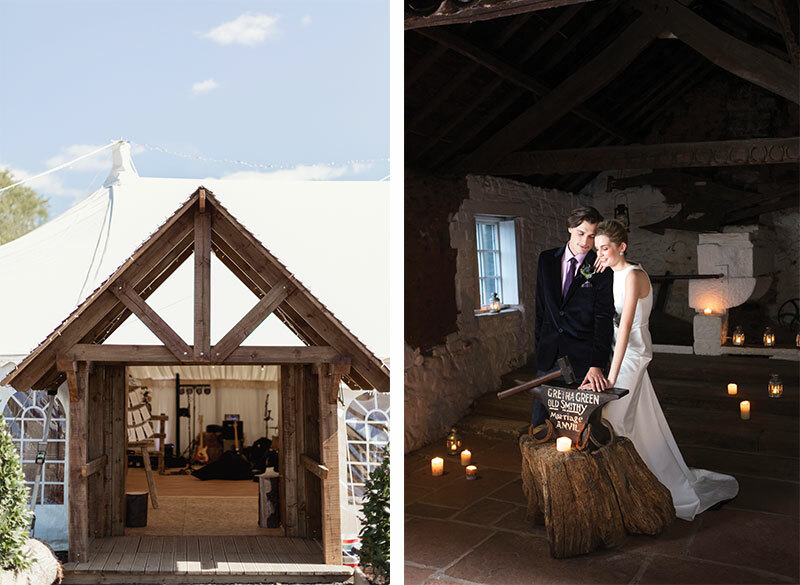 We adore the look of the Hilltop Marquee, which can accommodate up to 60 guests. Come sunset, you’ll get stunning shots with the dramatic Schiehallion as the backdrop. Permanently berthed in the Port of Leith is a brand new exclusive-use venue for 2019. 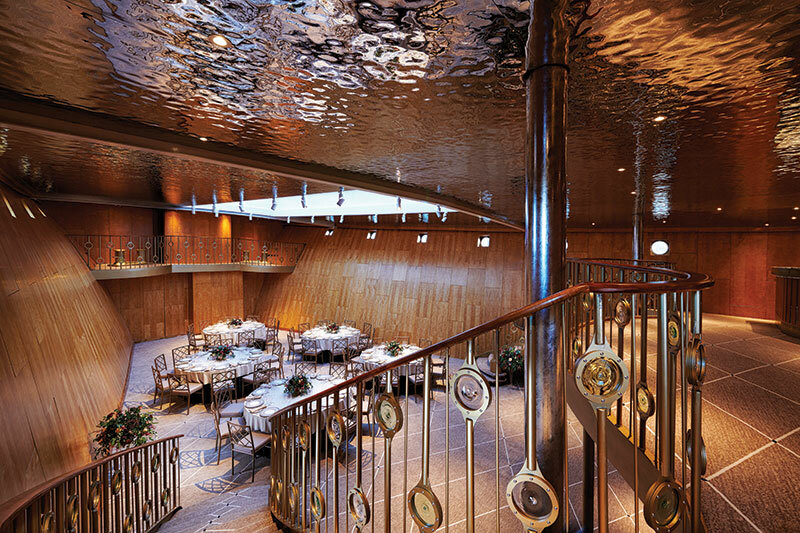 It’s a ship named Fingal and it has an elegant ballroom that can accommodate up to 60 guests and a standout sweeping staircase for photo ops. Your guests can retire to the premium cabins, while you and your new spouse enjoy the luxury of the Skerryvore Suite. As head of hospitality Andrew Thompson explains: “Fingal is like no other venue in Scotland. The craftsmanship and design, inspired by the ship’s provenance and heritage, coupled with the best of Scotland’s larder, will ensure our guests’ experience is truly memorable.” This is one venue we can get on board with. Gretna Green might just be Scotland’s most romantic spot. Its Famous Blacksmiths Shop (right) has seen any number of elopements since 1754, when the local blacksmith would conduct marriages over his famous anvil. 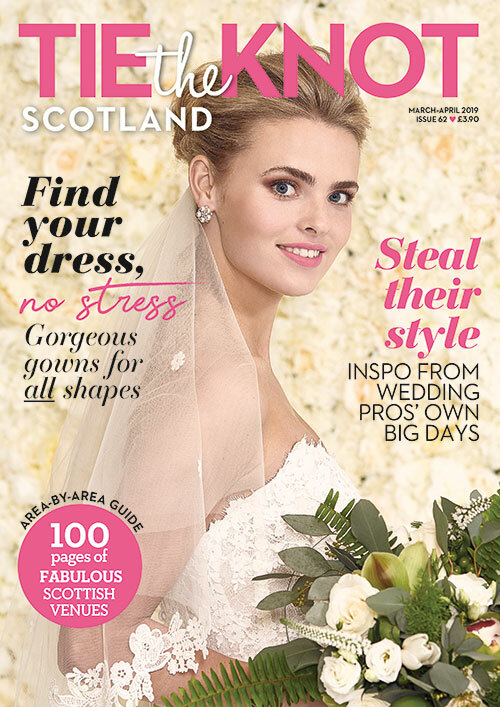 “Become part of our ongoing story and join the thread of romantic history when you marry at Gretna Green,” says the venue’s Stephen Crichton. 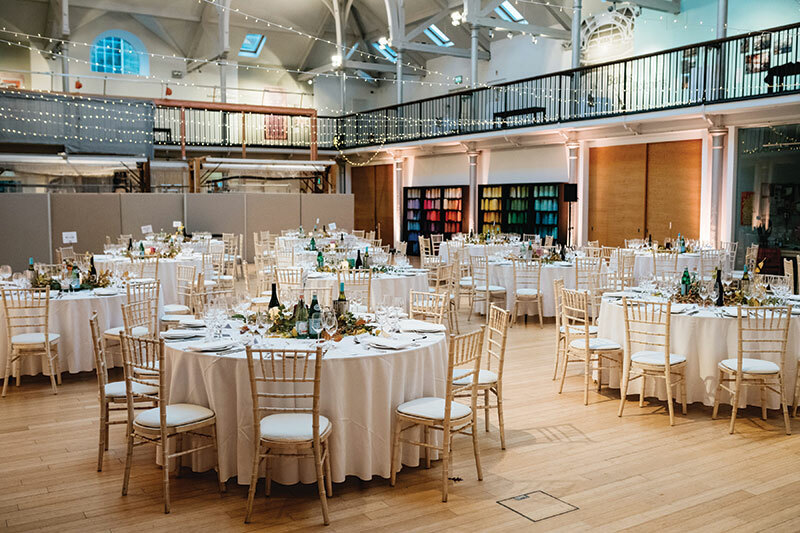 We like a versatile venue, and Dovecot Studios is nothing if not versatile. 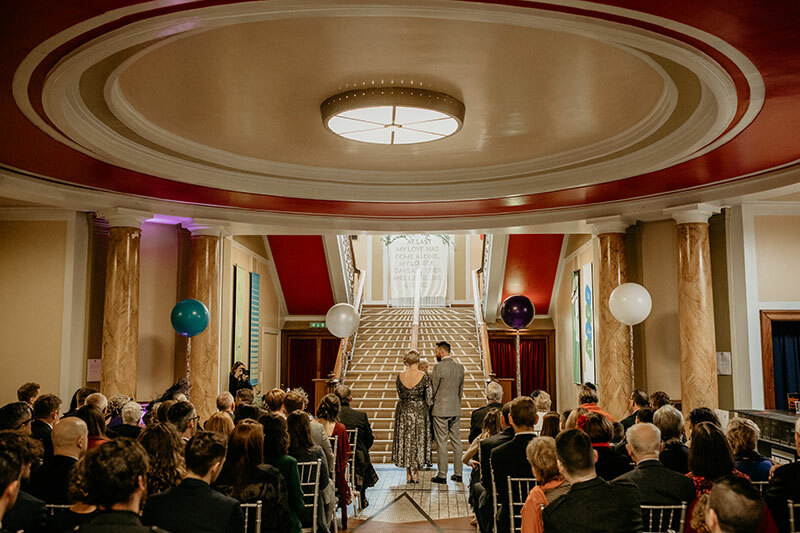 Like the Old Dr Bells Baths, this is another former Victorian bathhouse that’s been given a new lease of life – since 2008, it has been a fully functioning tapestry studio – which can now be booked for your wedding. 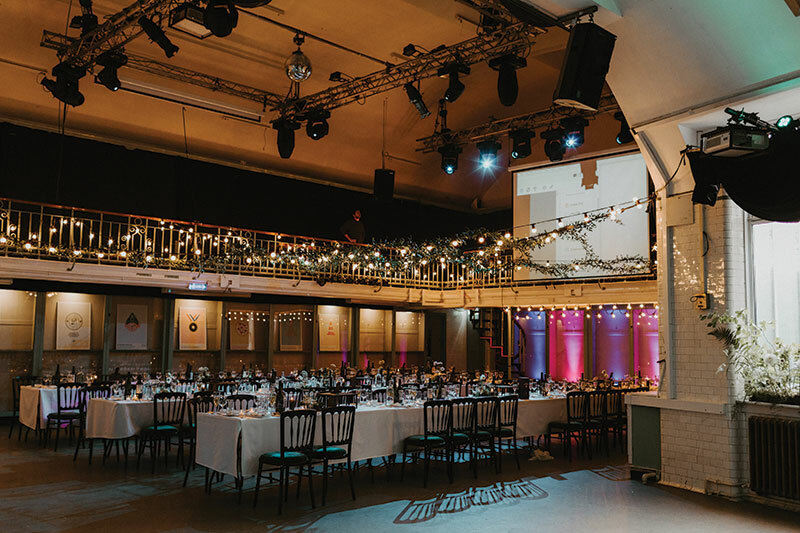 If your big day is all about you (and your partner, of course…), take centre stage by getting hitched at Edinburgh’s revamped Leith Theatre. Art Deco stylings add lots of old-school glamour, while the large kitchen can cope with everything from sit-down dinners to hog roasts. The hall has a sprung wood floor, so no one will have any excuse not to get up and jig the night away. If you and your other half met at university, you might be looking for ways to pay homage to your academic roots. Step forward Summerhall, Edinburgh’s former veterinary school and now a cutting-edge arts venue. With its large windows, wooden display cabinets and charming balcony, the Dissection Room makes for a unique reception room (and often hosts bands and plays during the Festival). “Summerhall is a powerhouse of energy and creativity,” says head of events Sarah Cheung. “Our goal is to provide you with everything you need to make your special day as individual and imaginative as you are.” Just leave the forceps and textbooks at home.